…these imperfections include things like swirl marks & fine scratches, bird dropping etching & acid rain etching, hologramming & buffer trails, and random isolated deep scratches. Before any paint correction is begun, the vehicle is thoroughly washed and decontaminated with our clay bar treatment. The correction is a multistage process in which different grades of polish are used, from heavy cutting compounds to remove any surface material, to finer products which remove any marks the heavier products may have missed and refine the finish. A fully corrected vehicle when viewed in direct sunlight will show only true reflections and no swirl marks, scratches or blemishes will be visible to the naked eye. 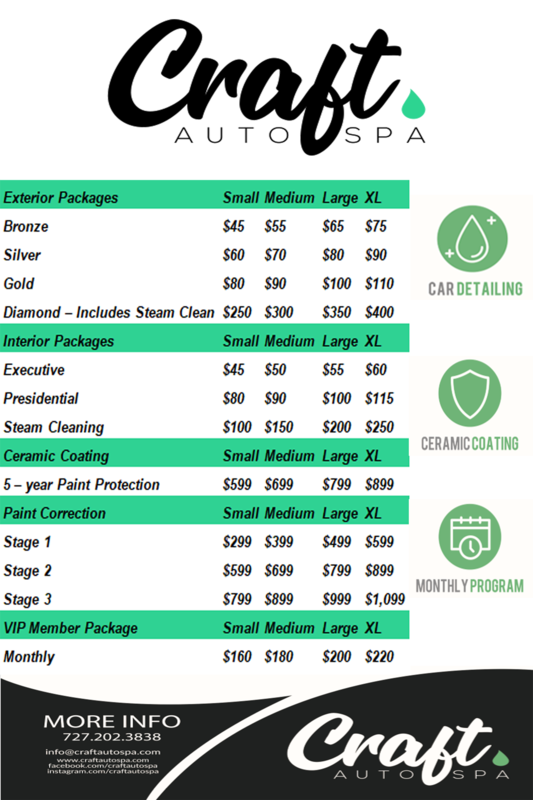 Call (727) 202-3838 Book Online! Nighttime driving can be dangerous—especially if your headlights have lost their clarity. Old and hazy headlights can result in diminished road vision and make it harder for oncoming traffic to see you. However, by restoring your headlights, you can ensure they are shining at their brightest and you have the best possible on-road lighting. Select your vehicle size, pick your options, and leave us your details! 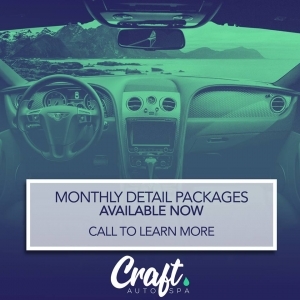 Once submitted a member from craft auto spa will reach out to confirm your appointment.